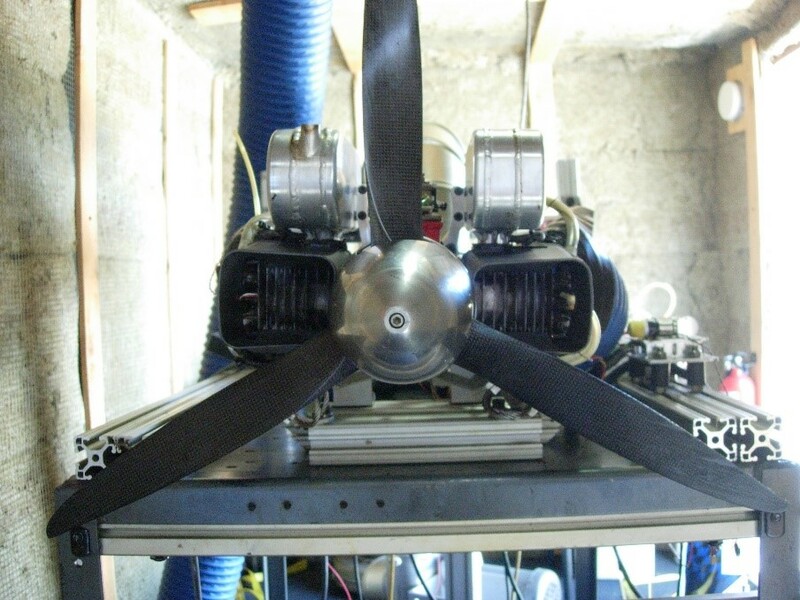 The Power4Flight team announces the B100i-PRX fuel injected UAV engine completed the Federal Aviation Regulation 33 Endurance Profile Test successfully on June 18, 2018. The test was completed in the mobile prop stand at the P4F shop. The IntelliJect ECU designed in house by Power4Flight controlled the engine throughout the test and it also succeeded in passing the FAR 33 Profile. The B100i-PRX, PRX specifying quiet exhaust, rated at 4.3kW, was run through a series of RPM profiles intended to test the engine under high stress. The engine was non-invasively inspected before each daily run period of 8 hours. After completing the 150-hour run, engine tear down was performed at P4F. Some improvements to the muffler design is being made but overall the engine ran well throughout and after the test.